Our brand new Fast Turnaround TV enewsletter launched last week to expand on TVBEurope’s coverage of the live/as-live TV sector from a sole focus on sports to encompass large-scale productions across music, entertainment and news – ahead of our upcoming Fast Turnaround TV conference in London, 13 March 2012. Our brand new Fast Turnaround TV enewsletter launched last week to expand on TVBEurope’s coverage of the live/as-live TV sector from a sole focus on sports to encompass large-scale productions across music, entertainment and news – ahead of our upcoming Fast Turnaround TV conference in London, 13 March 2012. The event website is now up and running: have a look at www.fastturnaroundtv.com.  And don’t forget to sign up for the new enewsletter at www.tvbeurope.com. So what’s the big deal with Fast Turnaround TV? Why the new event and enewsletter? Simply this: in the increasing battle to hold onto eyeballs, large live and as-live productions (sports, shows, political and cultural events etc) are becoming the cornerstones of a broadcaster’s schedule. ‘Watercooler TV’ pretty much equates to Fast Turnaround TV – high-pressure shows with complex collaborative workflows, where the potential for chaos or catastrophe is never far away. Now more important than ever for broadcasters, production companies, facilities houses and equipment vendors, as the traditional TV audience continues to fragment and evolve. Consumers are also moving from passive viewing to being engaged participants in events that are unfolding by using a smartphone or tablet as a second screen at the same time as consuming a traditional TV broadcast. In fact, 70% of iPad owners watch TV with an iPad on their knees at the same time. How do broadcasters gain control of that second screen – and how can the proposition add life, longevity and revenue around a fast turnaround event? How do you keep control of all aspects of an event, from live broadcast to archive and new media distribution? Looking ahead to 2012, it is not just the London Olympics that could make this a record-breaking year in UK outside broadcasting. A number of other events, notably the Queen’s Diamond Jubilee and the London 2012 Festival (billed as ‘the biggest festival the UK has ever seen, with artists from all over the world’) are expected to make 2012 a business bonanza and the summer months arguably the busiest period ever. With celebrations spread over a number of days, June’s Jubilee is expected to require a total domestic outside broadcast provision up to four times bigger than for the 2011 Royal Wedding. International interest in the pomp and ceremony as an Olympics curtain raiser will be high and host and unilateral broadcasters will be competing to differentiate their presentations and to stream content online and applicable to personal devices. The Fast Turnaround TV 2012 conference will reveal what it takes to prepare and deliver an event on this scale including the logistics, pressures and compromises. We’re aiming to provide a focused event in Soho that will attract directors of operations, heads of OBs, production resources managers, CTOs, programme operations managers, heads of cameras, senior sound supervisors and similar to network and experience case studies from around Europe. The conference will largely be a series of end-user case studies from around Europe – and there’s an opportunity for vendors in this space to get involved, so please contact our team with any queries. And once the Fast Turnaround TV 2012 conference programme is up and running, we’ll tell you about our 3D Masters and IT Broadcast Workflow events to follow in summer 2012!